JARR is a Kombucha brewery based in Hackney Wick, East London. Kombucha is a healthy soft drink made by fermenting a blend of tea, water, sugar and a SCOBY (symbiotic culture of bacteria and yeast). I founded the brand alongside my good friends Tom and Jess Seaton and Neil Hinchley in 2015 after we collectively realised that the UK was lacking a healthy and innovative adult soft drink. 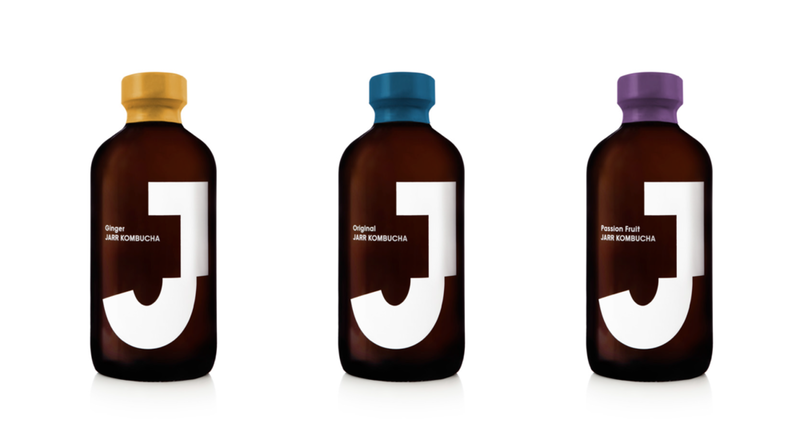 For JARR as a brand, it’s about challenging assumptions of what a soft drink can be. It’s also about empowering people to make healthier choices by giving them the option to choose an all natural, delicious and complex drink over an artificially produced, high sugar soft drink or alcohol when they don’t feel like boozing. For me personally, I love Kombucha and want to share it with as many people as possible. The thing that really makes me tick though is deeply and meaningfully connecting with other humans and Kombucha is the perfect conduit for that. The ultimate dream is to see JARR as the non-alcoholic option in every bar across Europe. Kombucha is really interesting in that it’s fermented while remaining below 0.5%, so you get a similar complexity to something like a cider or sparkling wine without the high ABV. What we’re really trying to do though is shift drinking habits here in the UK and Europe with regards to both soft drinks and alcohol. I don’t think I would give myself any advice. Every decision I’ve made and every action I’ve taken were necessary for bringing me to where I am now. Patagonia is the company that I’m most inspired by. I’ve been wearing Patagonia clothing since I was a kid but wasn’t fully aware of the story behind the brand until last year when I listened to a podcast with the founder, Yvon Chouinard. The very fact that their mission statement is “to build the best product, cause no unnecessary harm, and implement solutions to the environmental crisis” says a lot about them as a company. Through a family friend who worked for them for many years I know that they treat their employees with the utmost respect and are known for being one of the most mindful and conscientious brands around. I think more bars, pubs and restaurants need to massively step up their no and low alcohol game and start offering more interesting drink options for people who don’t feel like boozing. 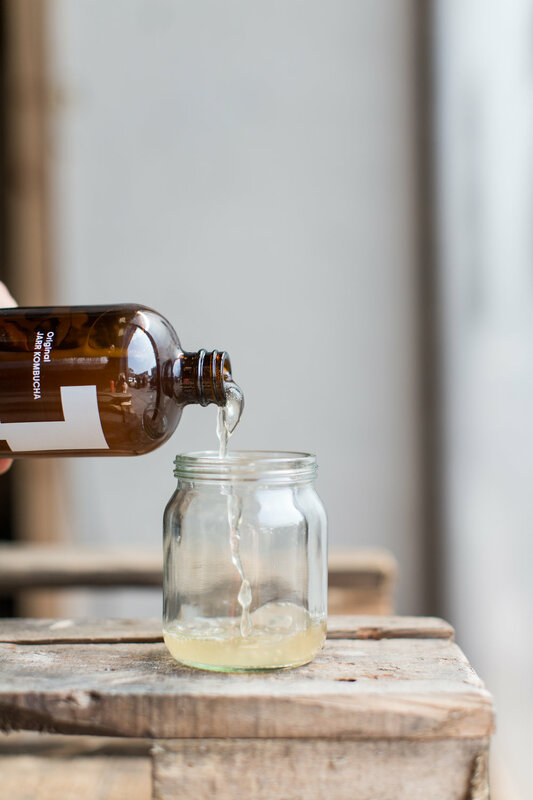 Thankfully with brands like Seedlip, Infinite Session and Big Drop and organisations like Club Soda and P(our), we’re seeing the world of no and low alcohol growing rapidly and people are suddenly realising that this isn’t just a fad. We’ve been offering Kombucha on tap at Mick’s Garage, our bar and taproom in Hackney Wick, since 2015, but we’ve always envisioned this working across London, the rest of the UK and throughout Europe. I’m really excited that we’ve finally started to see this vision take shape. This year we’ve been stocking places like Whole Foods Market, Deliciously Ella, Draft House, Mother Kelly’s, Farmer J, Lords of Poke and various co-working spaces with our Kombucha on tap. We’re really eager to see how this grows further and helps support the ever-expanding world of non-alcohol. To be honest, Kombucha is simply a fermented soft drink that happens to be delicious and healthier than most soft drinks out there. We’re not expecting to change the world, but as I mentioned earlier, we’re giving people an option that didn’t exist before. Something that’s always bothered me is that for most of my life, the only drink options out there have been artificially produced and full of sugar. It’s time for things to change. I wouldn’t change a thing. As crazy as it sounds, I’m grateful for it all. My business partners Tom, Jess and Neil are also the founders of CRATE Brewery in Hackney Wick. Being able to utilise their knowledge of brewing equipment, logistics and fermentation has been instrumental to JARR’s success so I’ve gotta give a massive shout out to them and the rest of the CRATE Brewery team! I also want to thank Alex Kratena, Monica Berg and Simone Caporale for supporting JARR since the early days, connecting us with some amazing people in the world of food and drink and for inviting us to present at the P(our) symposium in Paris this year and last.